If you're one of those people who suffers from iPhone won't restore error, you are bound to see similar questions in the process to find the solutions, such as 'What do you do when your iPhone won't restore? ', 'Why can't I restore my iPhone from backup? ', 'How do I restore iPhone after update failed? ', etc. As you can see, this is a quite common issue for iPhone users. Therefore, don't lose your head. Just take the time to know the general situations and possible solutions now. 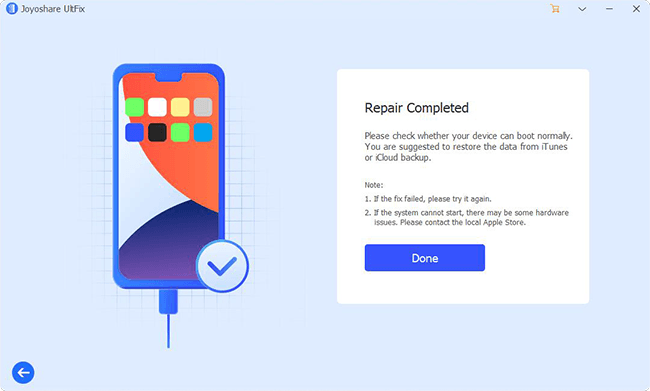 According to what complained and reported by iPhone users, there are various common cases you may meet to get into iPhone restore error. Here is what we collected for you. 1. The iPhone could not be restored due to an unknown error occurred. 2. The iPhone could not be restored after jailbreak. 3. The restore was interrupted when you are in attempt at using iCloud. 4. The iPhone won't restore after iOS update (iOS 12 update or iTunes update). 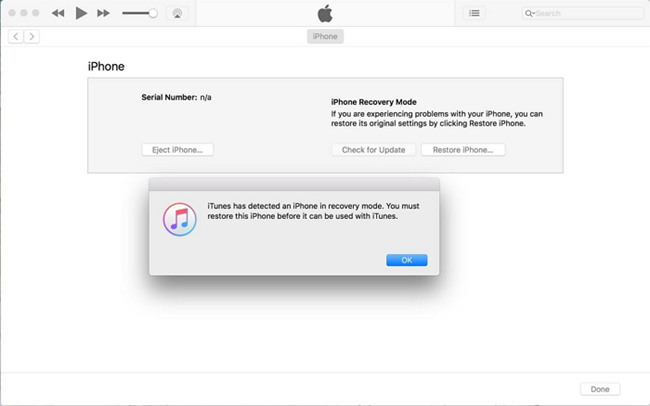 5. iTunes can't restore from a backup because the backup is incompatible or corrupt. Step 3: Find and click on the "Check for Updates" from its drop-down list and start to make update. 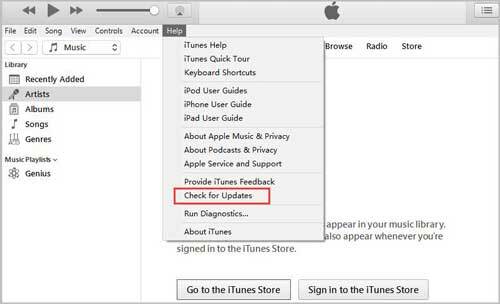 Step 3: Update iTunes to the latest version by following the onscreen prompts. 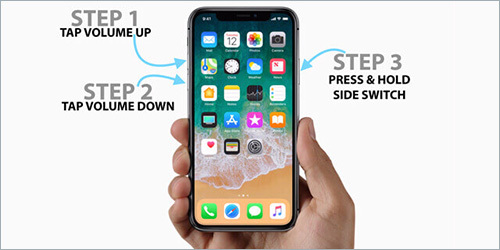 For iPhone 8 and later: firstly quickly press and release the "Volume Up" button and then quickly press and release the "Volume Down" button. Next press and hold the "Side" button. For iPhone 7/7 Plus: press & hold the "Power" button as well as the "Volume Down" button at the same time. Release both of them until the Apple logo shows. For iPhone 6s and earlier: Keep pressing and holding the "Home" button and the "Power" button simultaneously and release until you can see the Apple logo. It may not be easy for you to judge the specific situation and adopt the corresponding solution. In this case, go to use Joyoshare UltFix. 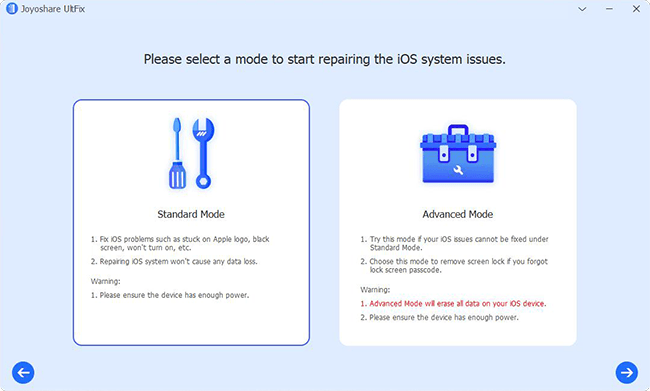 This iOS system recovery can function to fix all kinds of iPhone not restoring problems. More than that, it's free and forthright to instantly put iPhone into Recovery Mode with just one click. You don't have to worry about the compatibility. 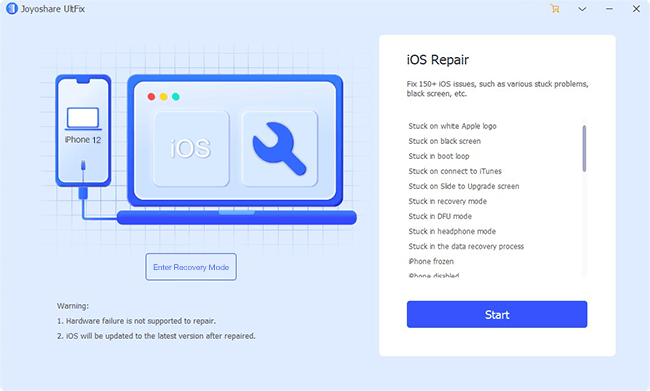 This superb iOS repair tool is powerful enough to support all iPhone, iPad or iPod touch models (iOS 12 included). 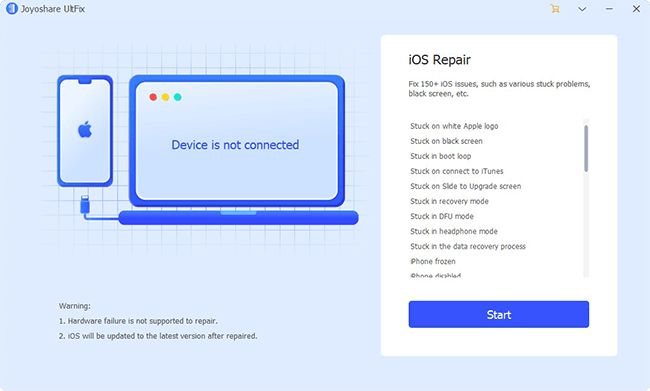 Apart from this iPhone won't restore or update error, you can additionally have right to repair system problems, such as iPhone stuck in white Apple logo, iPad frozen, iPhone stuck in boot loop, black screen, iPhone keeps restarting, iPhone activation error, etc. Now refer to the following steps to get your iPhone quickly restored/back to factory settings. We will take Joyoshare UltFix for Windows as an example. Here we go. First of all, download and install this program on your computer. Launch it and use an original USB cable to connect iPhone. Then press the "Start" button. Figure out which repair mode you actually need. Select it, click "Next" and continue to set your iPhone to either Recovery Mode or DFU Mode in the way you like. You can also do it in the main interface after device connection by clicking the "Enter Recovery Mode" option. After setting iPhone into Recovery/DFU Mode, this iPhone repair software will display all device info in your sight. 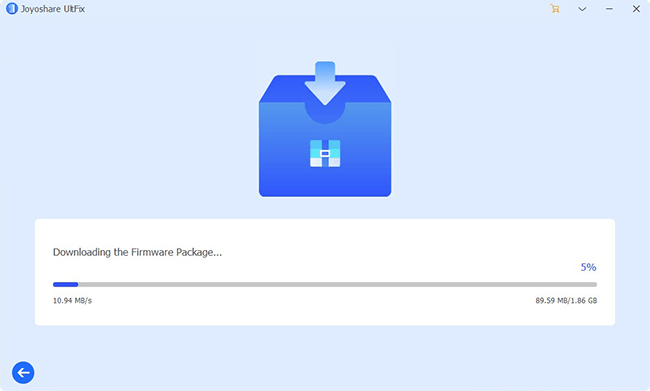 Have a check and then tap on the "Download" button to download and verify the firmware package. It's your turn to press on the "Repair" button on the bottom right. Then Joyoshare program will begin to unzip the firmware package and fix the iOS. Keep your iPhone connected and wait until this tool works to restore iPhone successfully. It's also another worth-trying solution to initially set your iPhone into Recovery Mode and then go forward to restore iPhone. You can operate step by step using the guide here. Step 3: After entering Recovery Mode, a pop-up window will appear to ask for restore or update; click on the "Restore" option. Don't hesitate to try these 4 mentioned solutions as per your own situation to fix iPhone won't restore problem. You can also go to reboot your computer, try a different USB or lightning cable, change another USB port or check WIFI connection. If all of them are not feasible, then you can go to ask Apple store for help.